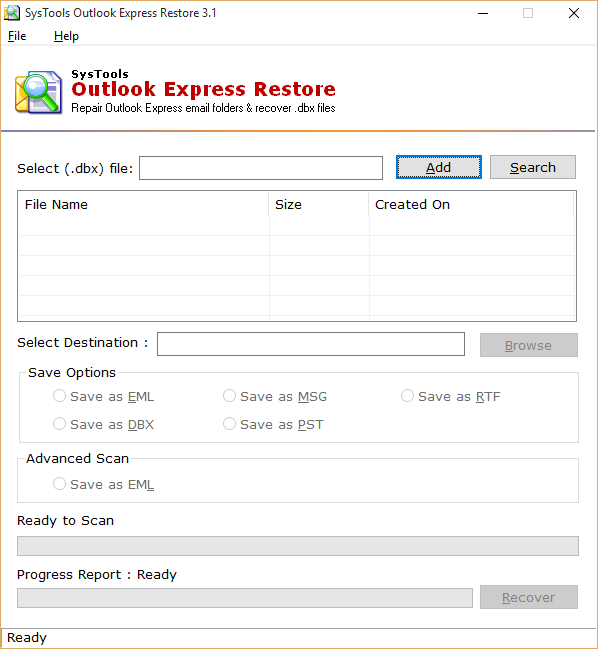 The DBX recovery software repair Email folders from damaged Outlook Express DBX files and features multiple formats to restore Outlook Express mails. It is possible to export repaired DBX files into required email formats & exporting into other mail clients. If you have multiple DBX files saved on your machine then search option will prove helpful for you. Select the folder having multiple DBX files in it and software will list all the files together with item count. Afterwards, selective DBX files can be added from the list and recovered altogether. 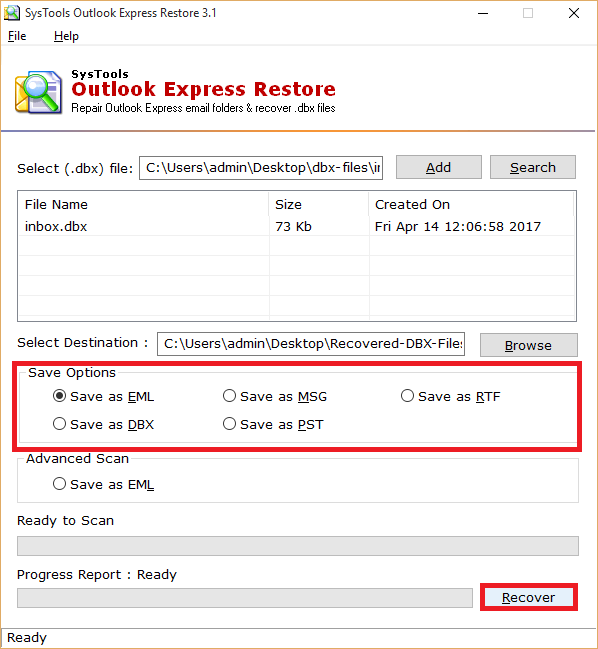 To restore mail from DBX files, Outlook Express recovery tool gives multiple file saving options to choose from. You can save the files into formats like: and DBX after proper scanning and recovery of corrupt DBX files. This DBX file recovery application ensures to keep the Meta properties associated with emails and other formatting unchanged. Also, it does not even alter a single word of information from the attachment of DBX emails. And the attachments are automatically embedded within the email while saving recovered file. While you search or add the DBX files, Outlook Express email Recovery software shows the associated details on its preview panel. You can view the name of each DBX file being addressed, their size in KB and file creation date including the day, date, month, year and time as well. Demo version of software will generate Preview & Export only 15 mails per Folder from DBX to PST / EML / MSG. Can I install this DBX Recovery software on my Windows 8 machine? Yes, you can install and run the dbx recovery software on a Windows 8 machine. Software does not necessitate installation of Outlook Express on the conversion machine to repair DBX files. 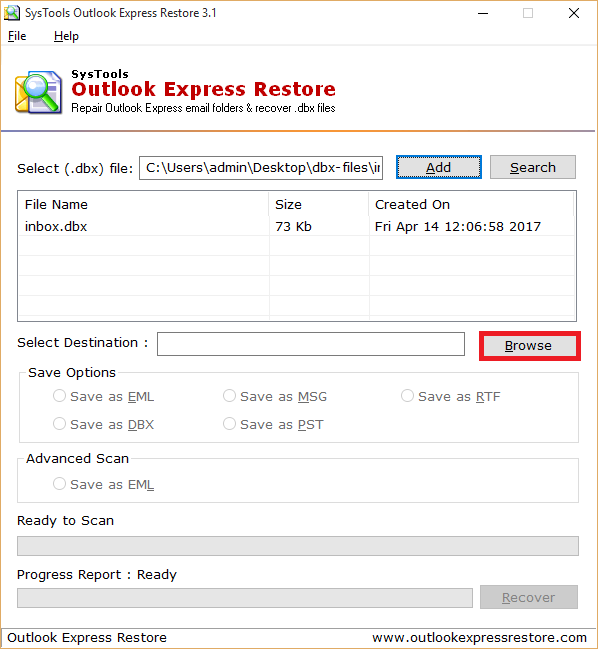 Will this Outlook Express Restore software help me repair corrupt DBX files too? Yes, by using this DBX recovery software you can recover corrupt DBX files and restore them back to DBX, , or other format also. 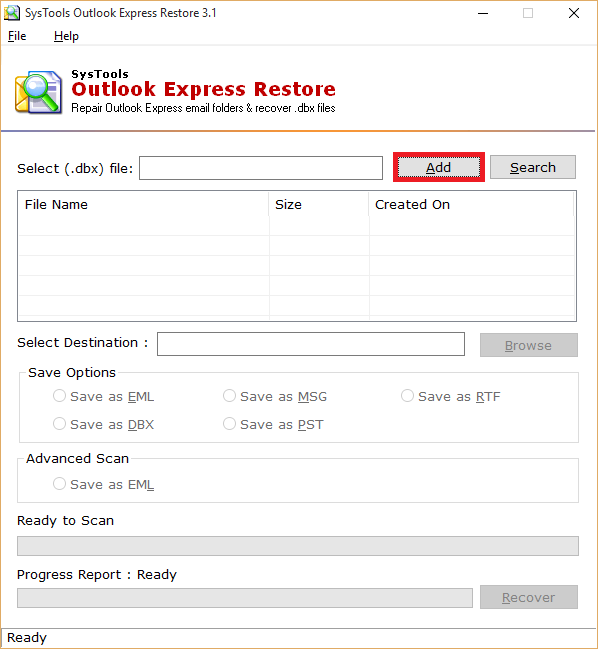 Can I repair multiple DBX files at a time using this outlook express recovery tool? Yes, DBX File recovery software will let you add multiple DBX files for recovery process. So you can operate multiple DBX files at one go. What does "Advance Scan" option mean in the software? 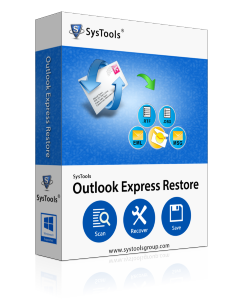 SysTools Outlook Express Recovery Software has an "Advance Scan" option which is used to repair severely corrupted DBX files. If you don't get the whole data by normal scanning, "Advance Scan" option is to be used as it scans each bad sector of file thoroughly. Is it necessary to install Outlook for saving recovered data? Yes, Outlook must be installed and configured properly if you choose "Save as " option. You can install any version of Outlook (32-bit). What will be the format of converted file; ANSI or UNICODE? By default, Outlook Express Recovery software creates of UNICODE format after restoring Outlook Express data. It also depends upon the version of Outlook installed on machine. What is the maximum DBX file size that can be repaired with this DBX Recovery tool? There is no such size limitation associated with the size of DBX files within the software. You can repair DBX file of any size successfully. In what time can I repair an 1 GB DBX file? Response time of the software is very less. However, total time taken by the dbx recovery software to repair DBX file depends upon its level of corruption and the size. Small sized DBX file with low corruption level will take less time to get recovered as compared to a large size of DBX file with high corruption. Does the software create a single Outlook data file for multiple DBX files? No, the tool to restore Outlook Express DBX file will create a single for each DBX file which can be opened in any version of MS Outlook (32-bit). My Outlook Express Inbox Messages disappeared & showing no message. I am unable to undersatnd the suddenly missed Outlook Express. Is there any way to restore them back?